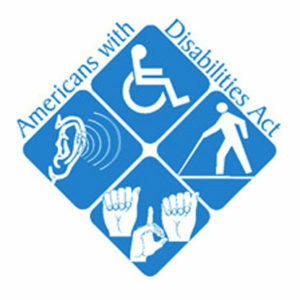 ADA stands for the Americans with Disabilities Act. This civil rights law was passed on July 26, 1990 to help secure the rights and freedoms that disabled citizens are entitled to. It was expanded in 2008 by the ADA Amendments Act. 2. 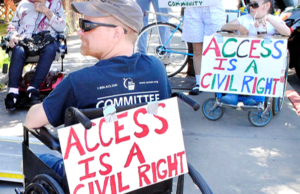 Why do we need the ADA? America is known “as the land of opportunity,” but discrimination prevents many disabled people from participating in everyday life. People who are disabled are regularly denied access to businesses, hospitals, schools, workplaces, and many other locations. 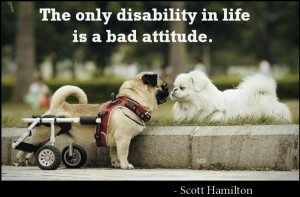 Unfortunately, a lack of cultural understanding about disabilities results in a prejudiced population. 3. Who is the ADA for? 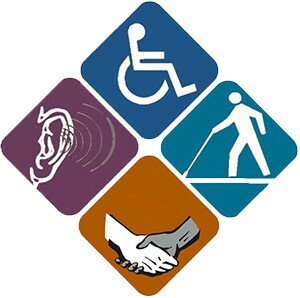 From deafness to mobility issues to intellectual disabilities, the ADA protects the rights of ALL Americans who have mental and/or physical medical conditions. 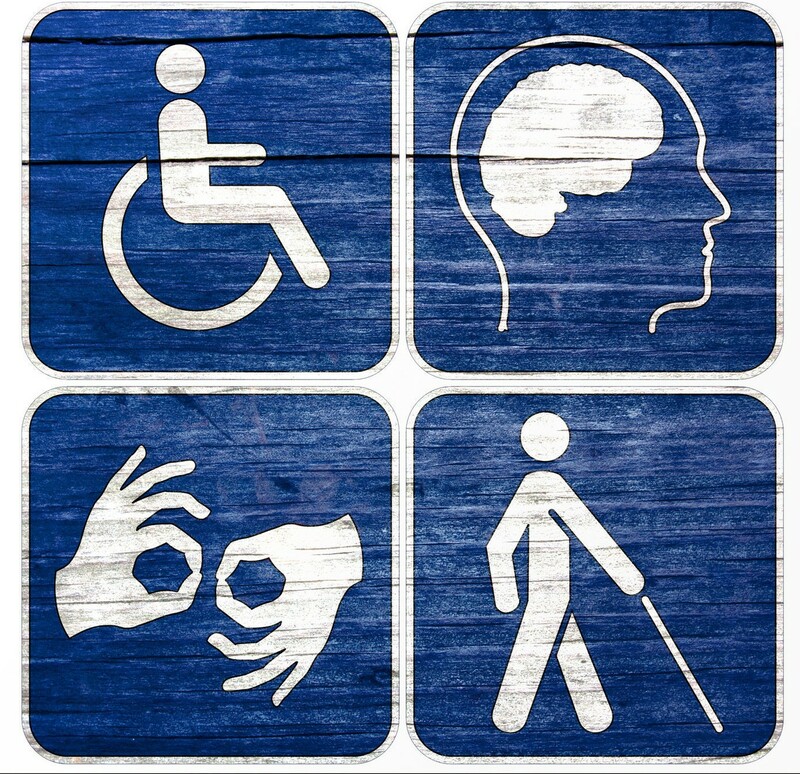 The list of disabilities also includes autism, cancer, cerebral palsy, diabetes, epilepsy, HIV, multiple sclerosis, muscular dystrophy, major depressive disorder, bipolar disorder, post-traumatic stress disorder, obsessive compulsive disorder, schizophrenia, and other physical or mental health conditions. 4. How does the ADA apply to people who are deaf? The ADA requires public and private entities to consider the needs of people who are deaf. Living in a large multicultural country, entities must take responsibility to be accepting and competent of other lifestyles. Instead of just assuming every person who enters a business or uses the services of an organization is able to hear, the ADA requires these entities to plan for deaf consumers. 5. How does the ADA effect jobs? Title I: Employment is a critical piece of the ADA which helps deaf individuals access employment opportunities. It prohibits employers from inquiring about the existence, nature, or severity of a disability or medical condition until after a job offer has been made. Title I makes it clear that organizations may not reject qualified job candidates on the basis of their disability, and requires employers to provide “reasonable accommodations” for deaf employees. Reasonable accommodation often calls for a minor alteration to the typical communication strategy, which will vary on a case-by-case basis. 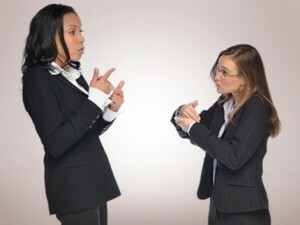 For deaf individuals who use ASL as their primary form of communication, a qualified sign language interpreter is generally the best accommodation for things like meetings, where important information will be exchanged. Other deaf or hard of hearing employees will prefer a text version of the meeting provided by computer aided transcription services (CART). For brief interactions, say the boss just needs a little more information on a report, an email exchange might be sufficient, or a Video Relay Service might be utilized. 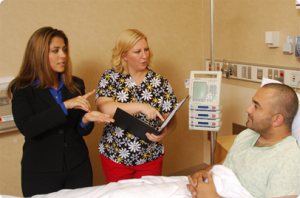 The best way to figure out what a reasonable accommodation might be for a certain situation is to simply ask the deaf individual. 7. Where else does the ADA apply? Under Title II, agencies which operate at a local or state level are required to provide equal access to all services offered by the organization. This includes public hospitals, municipal government buildings, public schools, police stations, and public transportation. 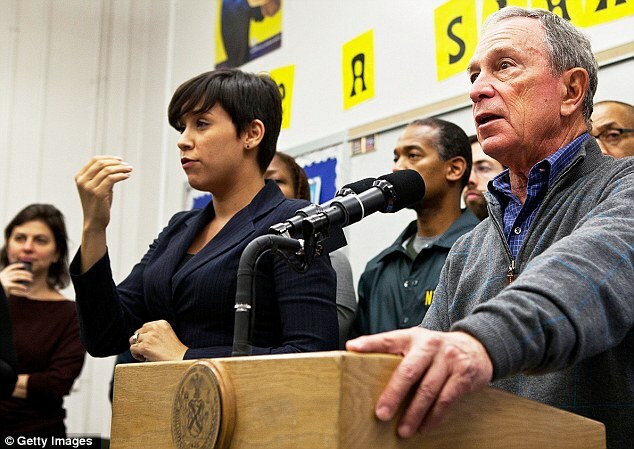 A public entity must ensure that its communications with deaf citizens are as effective as communications with others. 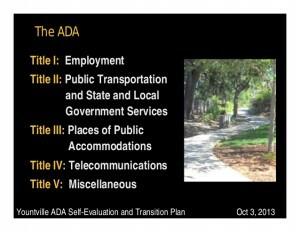 Title III expands the ADA to privately owned places of public accommodation and commercial facilities, such as business offices, social service centers, entertainment events, airports and so on. With the exception of private clubs and religious organizations, almost any place open to the public is required to provide some form of auxiliary aid, interpreter, or CART service for deaf/HoH patrons upon request. 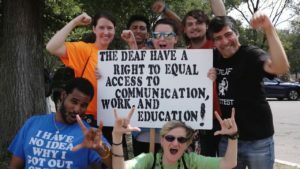 Deaf individuals aren’t asking for special treatment, they simply expect the same quality of access as everyone else. 8. 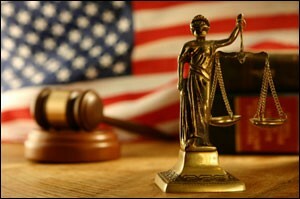 What steps should be taken to ensure civil rights are not violated? People who are deaf need to be aware of their rights and ask, preferably in writing, for the accommodations they are entitled to receive under the ADA. I suggest going beyond the gatekeepers, who are often secretaries and administration professionals, to contact management or the HR department. Take the request up the chain of command. 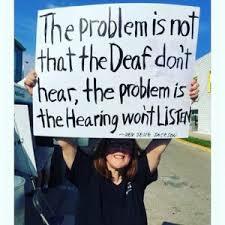 If they are still denied these accommodations, deaf people can contact a local advocacy organization or a licensed civil rights lawyer. 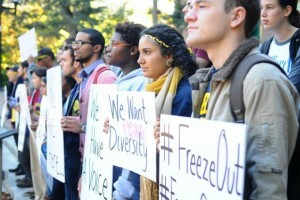 While a lawsuit is not the ideal course of action, discrimination based on disability is an act of oppression. 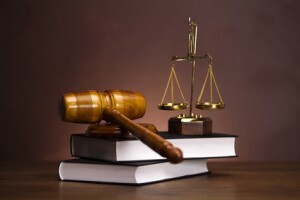 Liability lawsuits are often far more costly than providing equal access in the first place. 9. How can businesses ensure they are ADA compliant? Awareness about these issues usually begins from the top level down. All employees, but especially those who work in administration and management positions, should receive thorough cultural competency training. Additionally, we need to see more disabled employees and consultants in the workforce. The more the general population is exposed to disability, the better they will be able to understand the needs of disabled individuals. 10. How does the ADA help everyone? At the end of the day, most deaf or otherwise disabled people just want the opportunity to participate in society. Diversity is a great asset, and providing reasonable accommodation for our diverse population should be an expected cost of doing business. Welcoming deaf individuals into all spaces is the law, yes. But it is also the right thing to do.